It’s that time of year again: The Vendy Awards have announced the nominees for their top prize, the Vendy Cup, which is awarded at its annual street-food event and competition. Past winners of the big one include street-food classic El Omega, food truck with a mission Snowday, and Astoria’s King of Falafel. This year’s crop of contenders is no less wide-ranging than in years past. 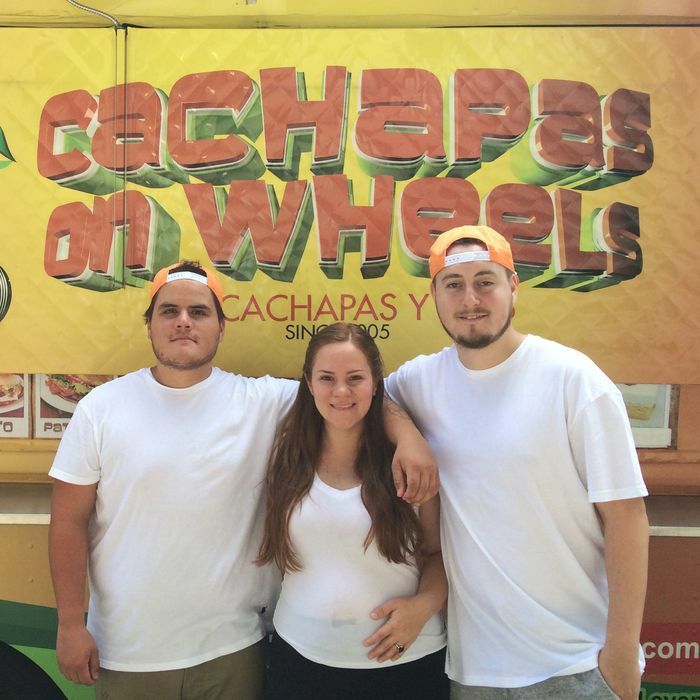 There’s Cachapas on Wheels, the mobile arm of uptown Venezuelan restaurant Cachapas y Mas; Sunset Park antojitos specialist Tacos el Rancho; Traditional Chinese Cuisine, Washington Square Park’s purveyor of lamb burgers and other Henanese food; and Gladis’ Empanadas out of East Williamsburg. The competitors will vie for the title on September 17 at the traditional Vendys battleground of Governors Island, and you can purchase tickets over here.